We live in a two levels house with a wild garden and terraces and with fruit trees. 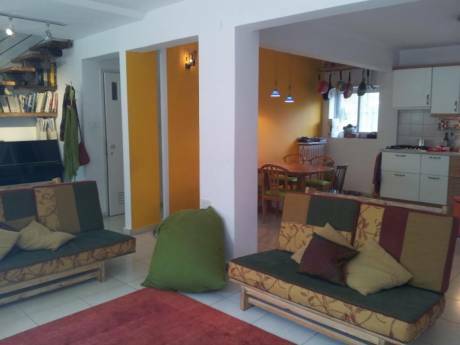 There is a lot of space and the rooms are bright and full of light. we have one double size bed in one room down stares, three children rooms, two with 1.5 size bed and the other with regular child bad. We have also a guest room with double sofa. Our kitchen got anything you need, open to the living area and very comfortable. We love art and we have art works on the walls. The directions of the house are good for the summer heat and we have a breeze at noon. We have books in English and good music: classic, jazz and ethnic. We have lots of games for children and nice neighbors. We have one bathroom upstairs and the other down stairs. We are a couple with three children in our fifty's . We renew the house which my husband grew up in it. I am an Expressive Therapist and my husband work in a biologic company in Genetics. we have three children: Itay (19 years old), Noa ( 17) and Neomi (12 years). We like very much to travel with the children and We love to get to know other places and people and we find the exchange as an opportunity to learn about other people lives and to open our minds about ways of leaving. As you probably know the politics in Israel is complicate and we wish it would be different.as we see, In Israel you can find everything interesting: east and west, old and new, and we find it as a micro of everything. There is a lot to see and we love to travel by bikes. we are going also to the Red sea in Eilat near to Jordan. We leave in the south wast of Jerusalem. up to the old beautiful village of Ein Kerem and very near to the green Jerusalem wood which is, in this side of Jerusalem. 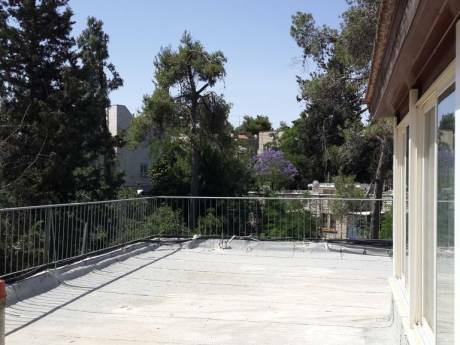 It is a house on the ground level, near a park and not more than 15 minutes to any places of the old city or center of Jerusalem. The old city of Jerusalem is unique and has lots of interest for any religions or architecture interests. There are lots of museums and galleries and music places. Good restaurants and very good wines to buy. Jerusalem is 45 minutes from Tel- Aviv and from the Mediterranean sea beaches, you can reach them in a drive of half an hour the desert and the dead sea. 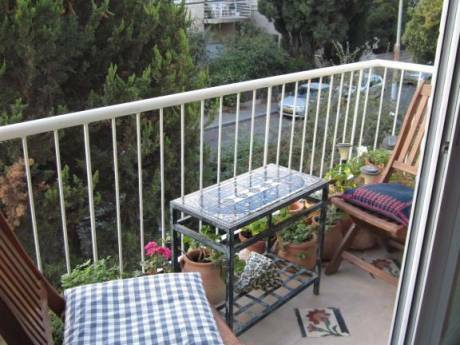 You can be in half an hour in Bethlehem and travel to the north of Israel within 1.5-2.5 hours and to Eilat in 3.5 hours of driving.Our house is very near to the in city train, by you can reach easily the Mahane-Yehuda Market, Yad Va Shem museum is 10 minutes by walking and other city sights are easy to reach by the train or the buses near our house.